Smooth grooves. Drums sound fantastic. A gem of the collection. 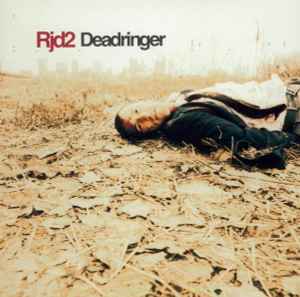 he's the guy with the hit record... . . .
RJD2's debut, DEADRINGER, made a huge splash... and how could it not, with such a gripping, spooky and funky opener as "The Horror"? But as he moves into the moody blues of "Smoke & Mirrors" and the soul of "Good Times Roll Pt.2," he begins to show his range. "Ghostwriter" takes a mellow folk path while the spaghetti western interlude of "Shot In The Dark" pops in momentarily to make itself known, as does the shiny "The Proxy." All throughout, there's plenty of dexterous scratching to accompany the more straightforward tracks, and it all comes together in a powerful package. Indeed, the closer, "Work" carries an ache to it, and the hidden track, "Here's What's Left" is a lovely slice of instrumental soul. A powerful debut.